What, I wonder will history make of current events? As I write, within a few hours, Donald Trump will be inaugurated as the American president; ‘the Donald’ will be the most powerful politician on the planet. Who knows what lies in the weeks and months ahead? 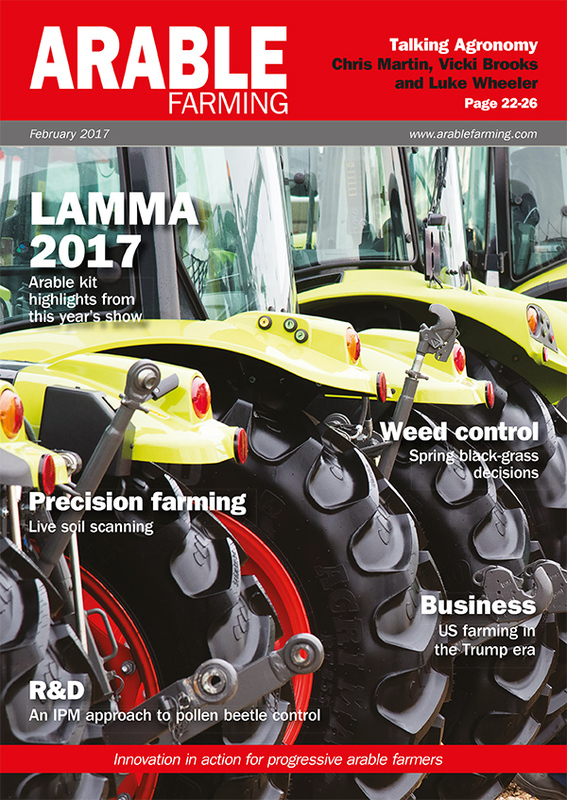 The question of what the Trump presidency might mean for farming here in the UK feels a long way down the list of concerns. So far agriculture does not appear to have been high on the Trump agenda. Nonetheless, farmers at the US Potato Expo in San Francisco recently appeared to be cautiously optimistic about their prospects. See our report in this issue. As the saying goes ‘when America sneezes the whole world catches a cold’. The US is the world’s biggest single exporter of agricultural products and the second biggest single importer, and as such has a massive influence on world trade. We should perhaps keep the flu remedies to hand. Closer to home, the farming community has a further set of questions for the politicians and bureaucrats orchestrating our exit from the European Union. Theresa May has now given us an indication of what ‘Brexit’ means and it seems it does not mean membership of the single market. Farming organisations were quick to respond to her speech and, as might be expected, access to markets and a supply of labour were identified as priorities. These issues too, along with support arrangements and legislation, emerged as key concerns in roundtable discussions and surveys conducted with farmers around the country by Arable Farming’s sister publication Farmers Guardian. Keep a lookout for more on those findings. Meanwhile, anyone hoping for rapid progress in 2017 on resolution of a number of crop protection chemical issues looks set to be disappointed. Publication of the findings of a European Food Safety Authority review of neonicotinoids, expected in January, is to be delayed until the autumn. There is still no agreement on the definition of what is an endocrine disruptor after the European Commission (EC) was unable to secure member states’ backing for its proposals. And pressure on glyphosate has been increased following the creation of a European Citizens Initiative, which is calling on the EC to ban the herbicide. Last year was tough for farming; 2017 could be tougher still. But where there are challenges, there are also opportunities. It’s our aim this year to help you be well-prepared to grasp them.